Story (from IMDB) : A former DEA agent moves his family to a quiet town, where he soon tangles with a local meth druglord. It isn’t hard to see that Jason Statham is one of the biggest and best action stars in films today and leading a film penned up by fellow friend and action legend Sylvester Stallone the potential for this one is great. Does it hold up and knock you to your feet or does it leave you walking away sad? We follow Phil Broker a ex DEA undercover agent who after losing his wife moves his daughter to a small remote town to get away from his former life and to create a new one with daughter. Soon though a few situations led him into a run in with the local gang, his former enemies, and the towns drug lord that make him fight for his and his daughters life. The story newer gets to deep and keeps a straight and narrow path throughout it. Being wrote by Stallone means that he knows all the points to hit making a action film so the story never gets too boring and moves at a great pace for it. What you really look for though in a film like this is the action scenes. As expected they are done great. Statham really knows how to kick off a good action scene and there aren’t many mainstream actors out there now that can do a better hand to hand fighting scene than Statham can. You get the normal situations for a action film though; the hand to hand fights, some gun play, and the chase scene. None of them try to be entirely original but they work more than most modern actions film do. The real shine though next to the great action scenes is the cast. Jason Statham as Phil Broker is great. You can say that its the same role that Statham always plays but its one that he has nearly perfected. James Franco as meth king “Gator” is great because he pulls off the swamp small town drug kingpin look well and shows just enough of a crazy streak to put his performance on edge. Kate Bosworth who looked stunning in the film 21 is at the complete opposite spectrum in this playing Gators drug addict sister who instigates the entire situation. Her bone thing look really pushed her role over for me. Winona Ryder is also in it and plays a part in the grand scheme of things though they could of really placed any other actress in her role and done the same thing. Overall if you are looking for a good action film that will keep you entertained all the way through than look no further. 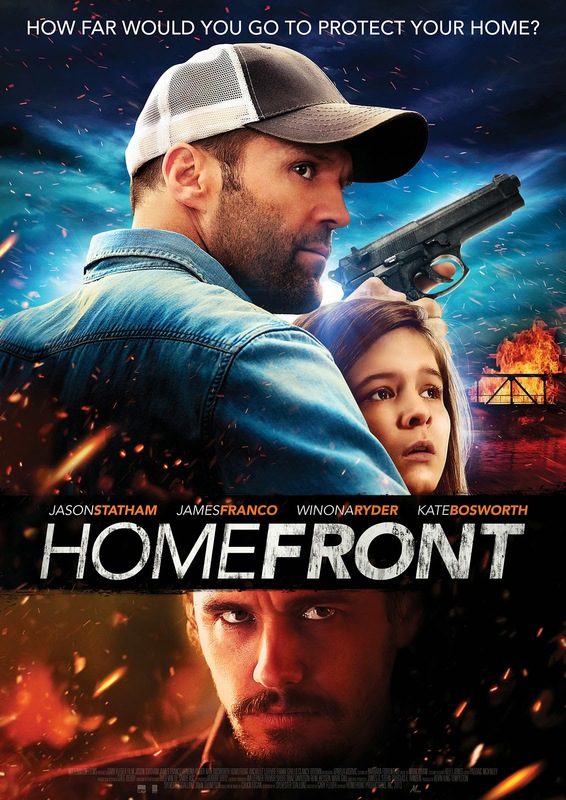 Homefront is a knockout for sure.